I found these fugly (funky and ugly) picture frames at the dollar store and I thought that with a coat of paint, I might be able to make them pretty. After the dollar store, my next stop was Lowe's. Several magazines recently had a coupon for a free sample of paint. Free paint = free craft supplies! And free craft supplies = one happy crafter! Woo-hoo! I was able to snag four of these little pots of paints! One of the colors I got was this "Bear Claw" which is a nice autumn orange color. 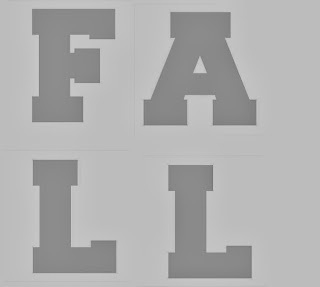 After painting the frames, I used scrapbook paper and cut out the letters for "Fall" and put one letter in each frame. I don't have a silhouette cutter, so I designed the letters in Word. Next I printed the letters. Then I traced the letters onto scrapbook paper and cut them out. This is the template I used for the letters. The frames look nice on my armoire, but you could put them on any table top display. I spent $1.00 for each frame, used free paint, and scrapbook paper I already had. Nice! This looks so cute! 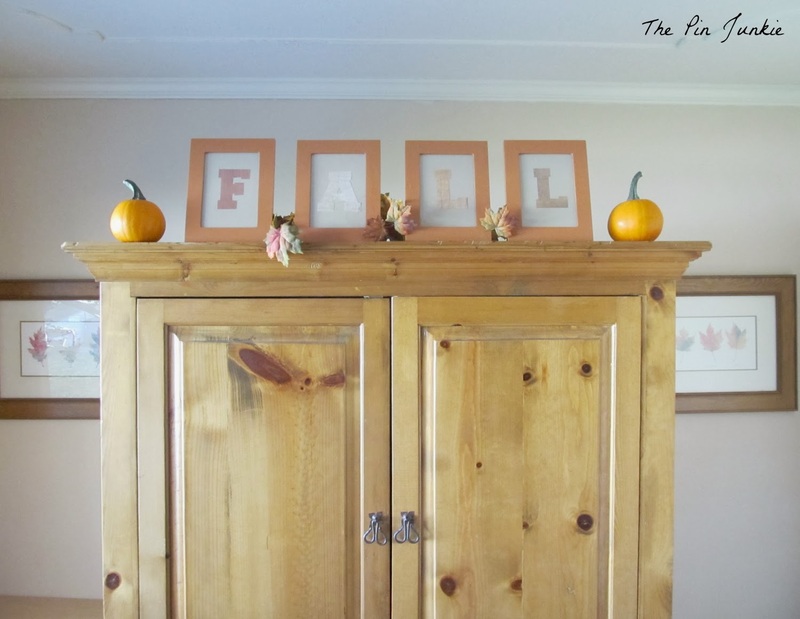 This is a great frugal fall project! A couple months back I had coupons for free paint samples but I let them expire! Fail! I was thinking of using the paint samples for crafts like this. Hopefully the next time I get one of those coupons I won't make the same mistake! I'm hopping over from Cheerios and Lattes. I love these dollar store crafts. They are really cute and very inexpensive. I love you added the pumpkins too. Found you on Mommy Monday; I love this idea! I can't wait to try it out! They look great. I like how resourceful you were finding your materials. Well Done! Very cute and thrifty idea! What a great project! I have made tons of great stuff from the dollar store too ! 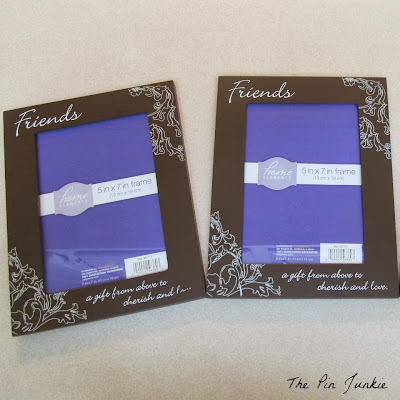 Thanks for sharing on Family Fridays Link Up Party! I love the Dollar Store and this is a great idea! Very cute (and much better than the original frames!) I'd love it if you linked up with our weekly link up party and shared! Very creative. I love the Dollar Store, and find that you have to go in regularly, because you never know what you may find. What a great and frugal idea! I love that you used the resources you had! Thanks for linking up with the Bloggers Brags Pinterest Party. I have pinned your post to the Bloggers Brags Pinterest Board! Love how your Fall frames look. I try to get the free paint before my coupons run out. I also buy the discarded paint samples for usually a $1. Love that price. I've found some great colors that way for only $1. I find the rejected paint spot in the store and see what they have. I've gotten some great spray paint also. Not for $1 but less than retail price. I'll be making a project like yours next time I can get to $tree to get frames. Would be great to make for holiday sayings. Think I'd put a long piece of wood behind the frames so they'd be lined up closely together, easier to hang that way also. Great post. Great tips! Thanks for sharing. I'll be looking for discarded paint samples next time I'm at the hardware store. This is awesome. My favorite color is Fall. I would have never thought to paint over those frames, but after seeing this, it makes sense. 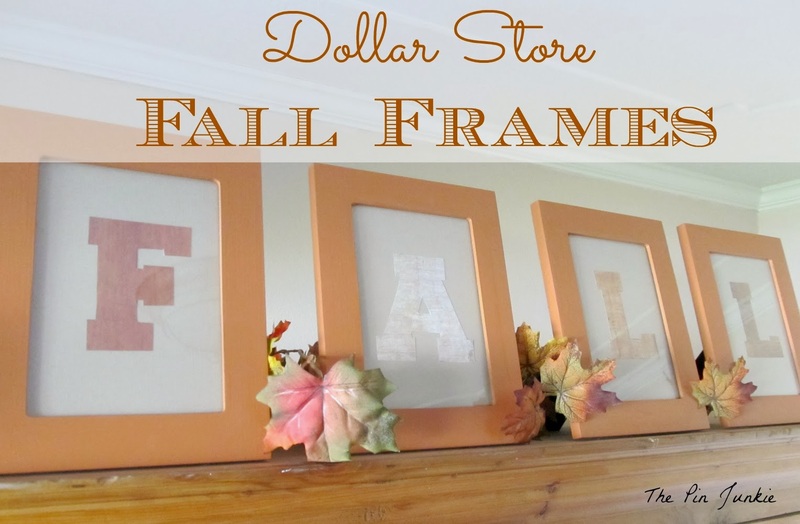 Beautiful fall frames for practically free. What more could you ask for? Thank you for sharing this on the Thumping Thursdays Blog Hop. This is great! And also, I didn't know magazines gave away USEFUL coupons! I should start actually LOOKING at the magazines I order for charities and kids' schools :) seriously. Great idea! Totally pinning to Pinterest. This looks so nice on top of your hutch! I've got to get some fall decorations up before I'm forced into Christmas :) thanks for sharing with. Life Created link party! We will feature this awesome idea next Monday on What'd You Do This Weekend? Thanks for linking. Thanks for the feature Lita! I appreciate it! Love this. I think I'll use my free paint coupon and make something like this for Christmas. Thanks for the inspiration! Good idea! They would make inexpensive but nice gifts for people on your gift list. Free paint is the best! Free anything for crafts, really. I love how these turned out! I did something similar with some frames I got at goodwill. Yay for re-purposing! I love shopping at Goodwill! I go to make donations of things I no longer need and have to be careful not to come home with more stuff! Thanks for joining us at the Foodies and Crafties Soiree! I never thought of taking the discount frames and painting them- I am SO not crafty. Great idea! Great project for a great price! Thanks for sharing them with SYC. Your updated frames are beautiful. What a great idea! Thanks for sharing at the Twirl & Take a Bow Party! Have a great weekend. Marvelous idea! I love decorating with words! This sparks inspiration for a project! Thank you!! LOVE this! I also love that its totally affordable! I LOVE the things that can be done with dollar store finds. You did a great job! Great idea to re-do the frames. I really like the way they turned out. Thanks for linking up to Tips and Tricks. Isn't it great what a coat of paint will do! Great simple and frugal way to decorate. Thanks for linking up to Gingerly Made's Show & Tell party. These came out so cute. Thanks so much for sharing with Wednesday's Adorned From Above Link party. Cute! Would you please tell me which magazines have the coupons for free paint? I'd love to take advantage of that. Thanks or the ever idea! The coupons were in Better Homes and Gardens magazine. This is such a simple and adorable idea, and could be used for so many different things, like framed initials for a nursery? I have chosen this post as one of our "featured picks" this week on Moonlight & Mason Jars. Thank you so much for always joining the party! 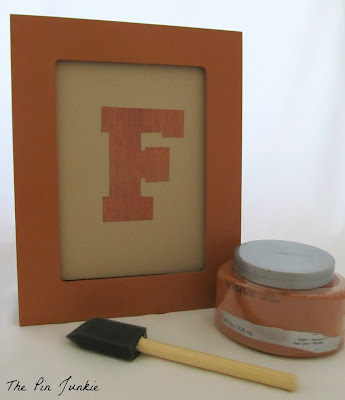 I like your idea of using framed initials in a nursery, Heather! Thanks for the feature, too! I love the simplicity of this project, but the high impact it has. What a great idea, really for any season. I like the idea of using them in a nursery like your other commenter said! Thanks so much for the feature Molly! I appreciate it!